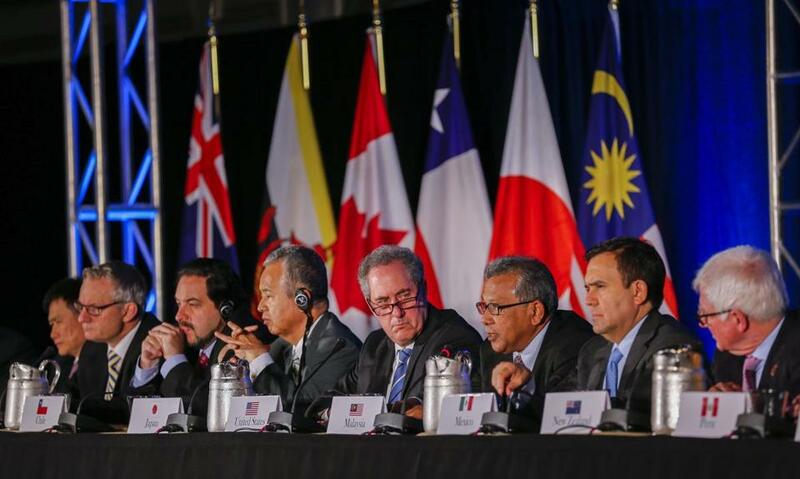 US Trade Representative Michael Froman (center) was flanked by his international counterparts during the closing press conference after the Trans-Pacific Partnership agreement was reached in October. In the US, the accord now awaits a congressional vote. Now that the long-awaited text of the Trans-Pacific Partnership agreement has been released, Congress will have to decide whether to ratify it. It should vote thumbs up. Many who are concerned about labor and environmental issues are fervently opposed to TPP, but they should read the text with an open mind. It seems unlikely that they did so, judging by the speed with which some nongovernmental organizations and others reacted negatively to the document within a few hours of its release last week. Supporters and opponents alike correctly describe TPP as different from past trade agreements in that it is more about “deep integration” than about removing good old-fashioned tariffs and quotas against merchandise trade. It establishes enforceable rules among the 12 signature members in areas that have traditionally been considered the exclusive province of each country’s own sovereignty, areas such as labor and the environment. Americans should appreciate that they are US-style rules. As for labor, the deal includes cracking down on human trafficking in Malaysia and promoting union rights in Vietnam, which would allow for independent labor unions for the first time. 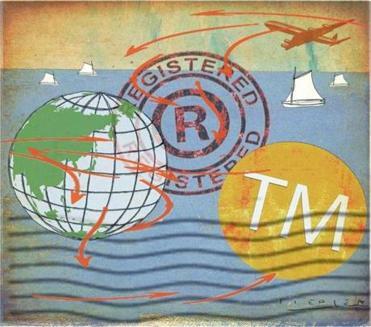 On the environment, TPP includes steps to protect the ocean from ship pollution; bans on national subsidies to fishing boats, especially subsidies for overfishing in such depleted species as tuna and swordfish; stronger enforcement of the Convention on International Trade in Endangered Species, or CITES. Endangered species likely to benefit from such enforcement include rhinos, elephants, tropical birds, and rare reptiles. While the administration promised a 21st-century agreement, we have yet another late 20th-century accord. For the first time in a regional agreement, these environmental and labor provisions are subject to a dispute settlement process backed by the threat of economic penalties. Some NGOs believe the penalties will not be fully enforced. Only time will tell whether they are. Regardless, what is the argument for opposing the agreement? Surely a step in the right direction is better than none at all. Would opponents prefer no measures to establish union rights for Vietnamese, protect the oceans, and end subsidized depletion of fish stocks? What alternatives do critics offer? We already have CITES, but its enforcement is too weak. Environmentalists have long said they want to put protection of endangered species into a trade agreement because it has more teeth than a multilateral environmental agreement. Now here it is. So how can an environmentalist not support TPP? Although it is correct that TPP goes beyond previous trade agreements, it also reduces traditional tariffs and quotas. It is true that the United States will not be lowering many such import barriers under TPP, because we don’t have many. But other members around the Pacific Rim have lots. TPP will lower their trade barriers and so allow new opportunities for US exports. American exporters who will benefit include such industries as machinery, automotive products, and information and communications technology hardware. US farmers will be able to export dairy products to Canada, poultry to Vietnam, and beef, pork, soybeans, and wine to Japan. And US service firms will be able to enter fields where they have a comparative advantage such as engineering, education, software, express delivery services, and much more. These are important wins for the US economy. Some big US corporations did not get what they were expecting out of TPP. The tobacco industry is unhappy that Australia can ban corporate logos on cigarette packs as part of its domestic antismoking campaign, unimpeded by the new Investor-State Dispute Settlement mechanism that the agreement creates. Pharmaceutical and biotech companies did not get extension to other TPP member markets of the full 12-year period of protection that they get at home for the data that they compile on new drugs (biologic medical products, in particular), but rather an effective eight years. President Obama has now lost support for TPP among some Republican lawmakers over those issues. He will be looking to more members of his own party for votes. Democrats who were fearful of what would come out of the negotiations should now reconsider and give the final text a fresh read. They may be pleasantly surprised. Jeffrey A. Frankel is professor of capital formation and growth at the Harvard Kennedy School.